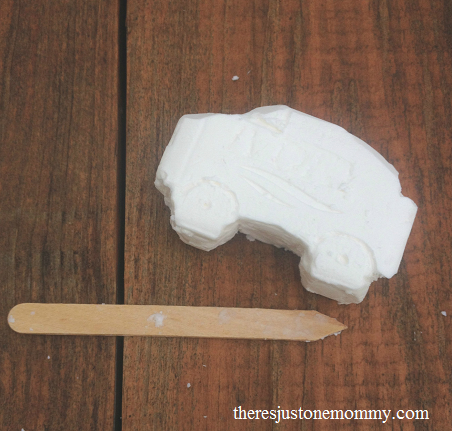 Looking for a fun, simple camp craft to do with the kids on your next camping trip? Or maybe you need a Scout activity for your next troop meeting? 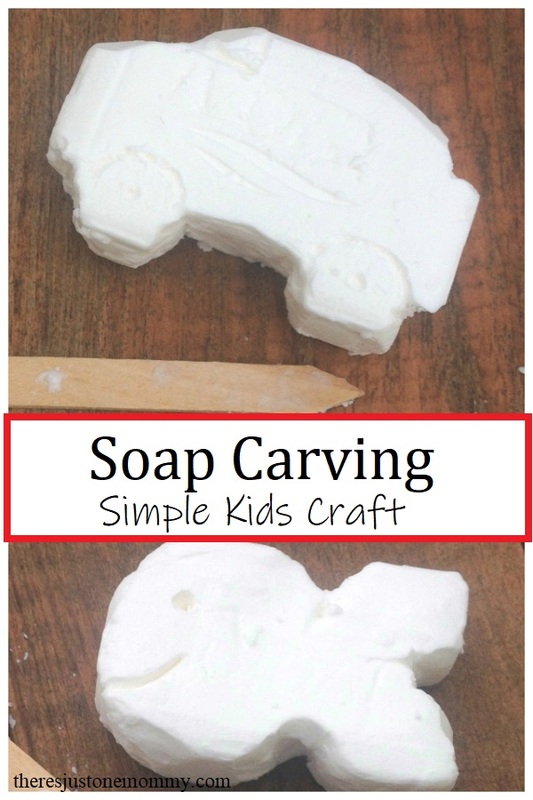 Have fun and teach basic knife skills with soap carving! Affiliate links have been used below at no expense to you. See my full disclosure here. 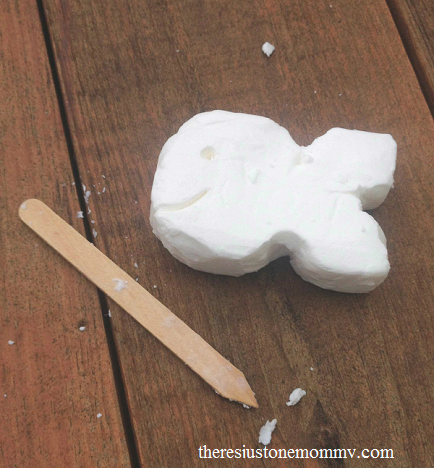 Using craft sticks allows even young children to try their hand at soap carving. If you plan to use a craft stick for your carving, you will want to cut one end of it into a point. To start your project, use the point you made on the the craft stick to draw a basic shape on one side of your bar of soap. Then, using the edge of the craft stick, slowly begin shaving pieces of soap away from the shape you drew. We practiced knife skills when we did our soap carving, so we were careful to only cut away from ourselves. As you get close to the shape you are aiming for, you can begin taking smaller shavings off and using the point of your craft stick to add details. A simple pattern is best. There will be a lot of soap shavings when you are finished. Work outside over a plastic table cloth to make clean up easier. The shavings can still be used for hand washing if you place them inside a soap saver. 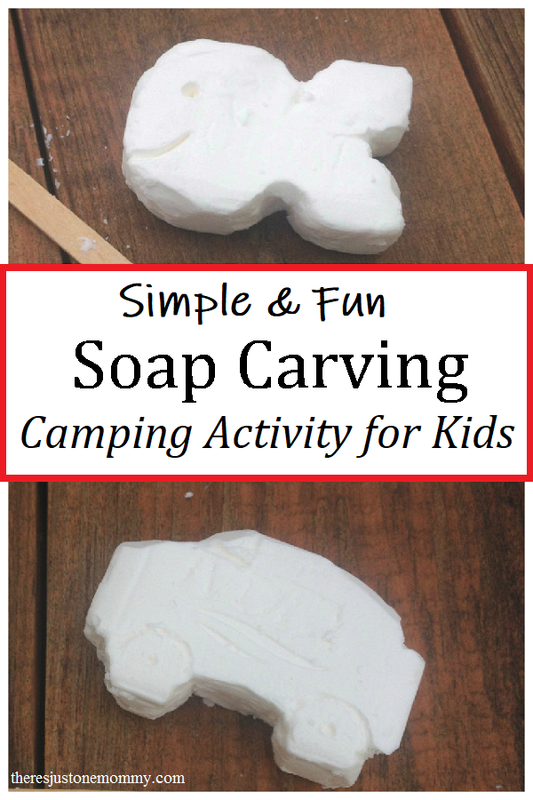 Soap carving is a fun camp craft for kids of all ages. It’s also a great way to introduce basic knife safety. the soaps turned out great!! I remember soap carving a fish when I was a kid! But I never thought about having my own kids do it. I think I need to go buy some Ivory soap!